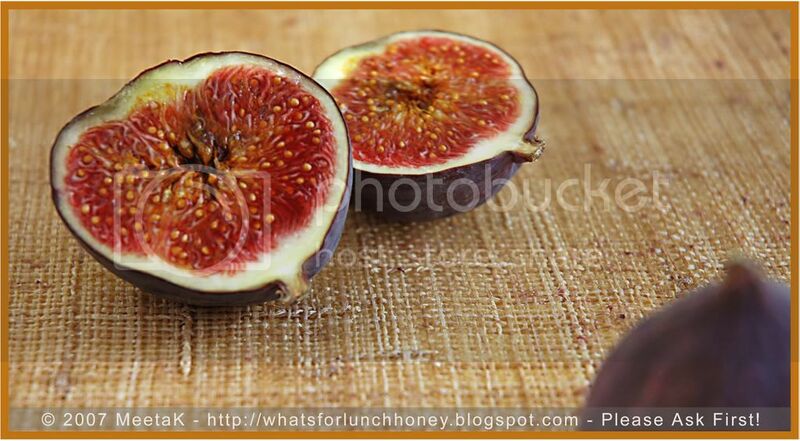 I absolutely adore Figs. They are a culinary delicacy par excellence. Part of the wonder of the fig comes from its unique taste and texture. Figs are lusciously sweet and feature a complex texture that combines the chewiness of their flesh, the smoothness of their skin, and the crunchiness of their seeds. Growing up I used to eat figs like others eat apples and ever since my sweetest Ivonne chose The Beautiful Fig as her theme to this months Sugar High Friday these luscious fruits have come into fashion in the blog world. 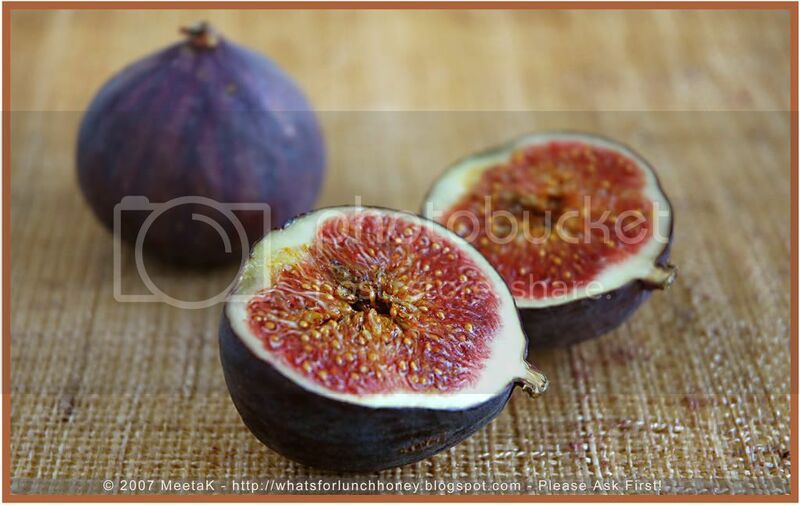 The photos are beautiful -- and I can't wait to see what you made with the figs! So looking fwd to ur recipe with figs. They r totally worthy of all the drool. Me too just luv 'em. i love figs - my fav fruit, and these are truly the most gorgeous shade of purple. Mmmm figs. We have a fig tree in our garden, but it will be another few years before she will start giving fruits. Looking forward to your recipes. I'm so jealous...I have not been able to find any figs around these parts. Your figs look gorgeous! I can't wait to see what you've done with them. We have a big, beautiful fig tree in our yard. Unfortunately, we gobble them up so fast, there are never enough left to make a recipe! There are some beautiful figs in my local shop please hurry up and let me know what to do with them!! I knew it, it's been too long I haven't been at the farmers market. Have to get my act together and see if there are figs in this country. I know I can be a tease - glad you all liked the photos. I had a great time with them and was also quite happy with how they turned out! Thank you all for your kind words! Figs truly rock! One of my favorite memories are of plucking them from the trees on the roadside in Greece - yum!